President Trump Ends Barack Obama's 'Vacation Scam'? - Truth or Fiction? President Trump Ends Barack Obama’s ‘Vacation Scam’? Did the former United States president plan to bill taxpayers for billions in lavish vacations over the next twenty years? U.S. President Donald Trump has ended former president Barack Obama's "vacation scam" and sent him a bill. A rumor that United States President Donald Trump “cracked down” on his predecessor Barack Obama’s “vacation scam” or sent the former president a bill for vacations that weren’t part of official state business reappears on social media periodically. However, this story is nowhere near true. The rumor originated from repeat offender TheLastLineOfDefense.org, a self-described “satire” and hoax news site that relies on “facts that don’t necessarily exist” in its mock political reports. 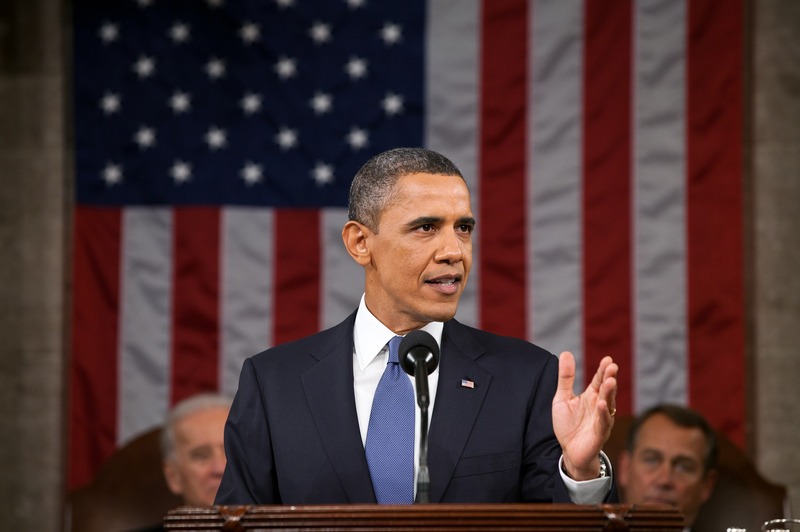 Before Obama left office he arranged with the State Department for a series of “official visits” to foreign countries spanning the next 20 years. Using discretionary funds from the Office of Presidential Visits and Vacations, Obama was able to weasel what would have been another $2.1 billion in free vacations for him and up to 24 members of his family plus staff and a dog sitter until the year 2036. He would have, that is, had he not lost his office to Donald Trump. Trump, who is always looking for ways to save money, was having the office used for vacations repainted with 24 karat gold leaf trim and having the shelves lined with leather when he was presented with a ledger that contained all of the travel plans and expenses. The ledger was found by one of the 31 workers Trump hired from outside the typical White House staff to make alterations requiring specialized craftsmen. It has become something of a tradition for political commentators to levy claims about the vacation and work schedules of presidents from opposing parties before and during their time in office. We covered various rumors about President Obama’s vacation schedule during his time in office, and there had already been comparisons between Trump’s and Obama’s travel expenses within the first few months of Trump’s time in office. 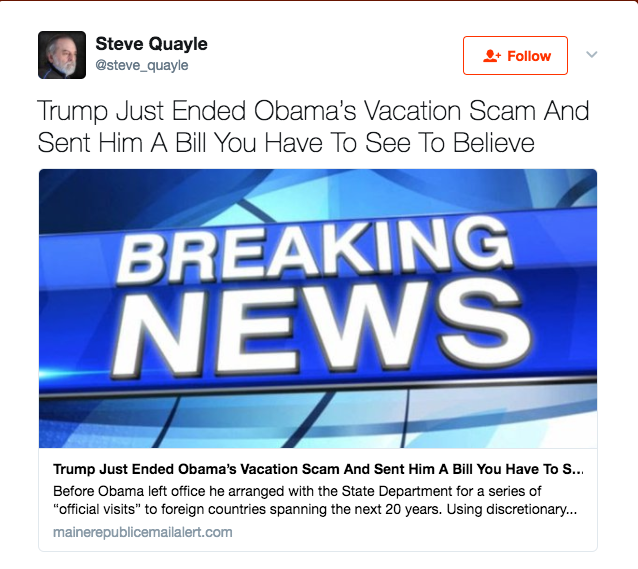 However, the specific claim that Trump ended Obama’s vacation “scam” is nothing but pure fiction. Warning: ISIS Sending invites to WhatsApp Interschools Group-Fiction! U.S. Pays $1 Billion into Green Climate Fund, Top Polluters Pay Nothing-Truth! & Misleading!